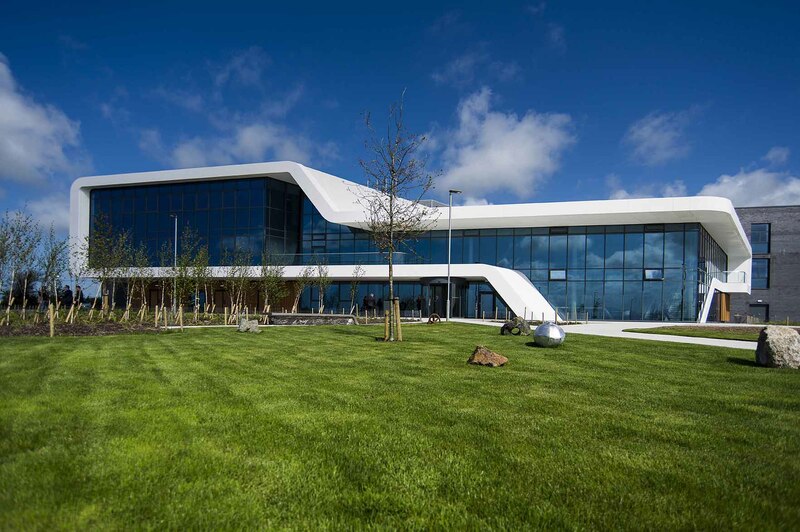 The new 5000m2 Menai Science Park (M-SParc) – the first of its kind to be developed in Wales – required an innovative solution to achieve the architects’ vision. Corian® exterior and interior cladding provided the perfect solution. 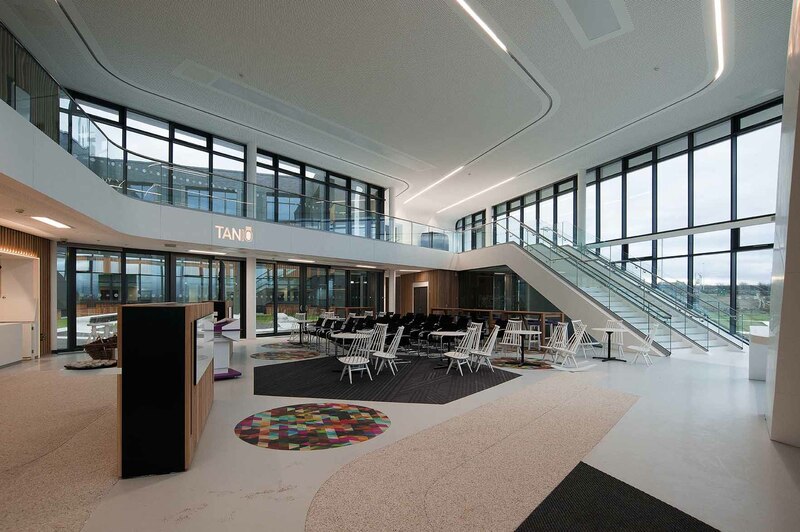 FaulknerBrowns Architects envisaged a unique, contemporary structure with an eye-catching façade: a flowing, continuous white ‘ribbon’ that creates an immediate visual impact. This sinuous design needed to be functional as well as beautiful as it would form the floor, wall and roof while also containing all the building’s services and waterproofing. Working with Unique Fabrications, FaulknerBrowns found that the properties of Corian® Solid Surface made it the ideal choice. The material allowed for the desired seamless finish with minimal joints, it was able to be shaped into curves and be formed into tight internal radii of 400mm – all while withstanding the elements of North Wales. 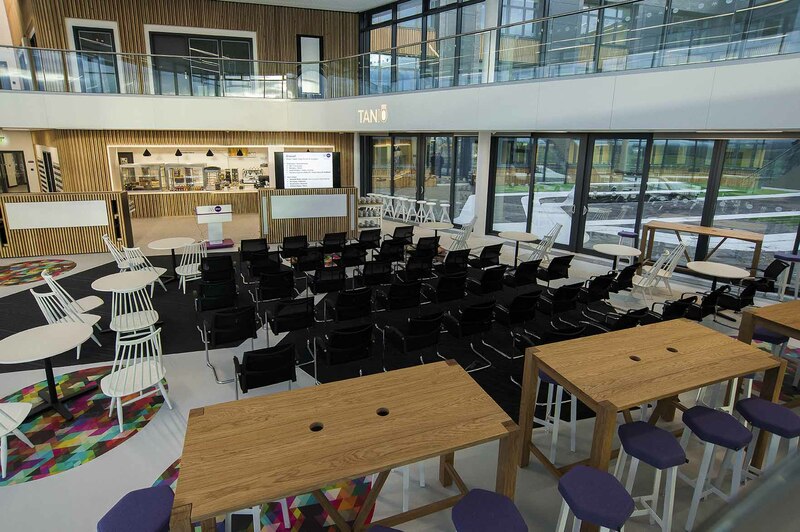 The smooth, non-porous surface of Corian® cladding means that the pristine white finish will be easy to maintain for years to come, something that FaulknerBrowns undertook extensive research to determine. Project Director at FaulknerBrowns Architects. The finished project features 1,300m2 of Corian® cladding in Glacier White, thermoformed into sculptural panels using an aluminium support system. 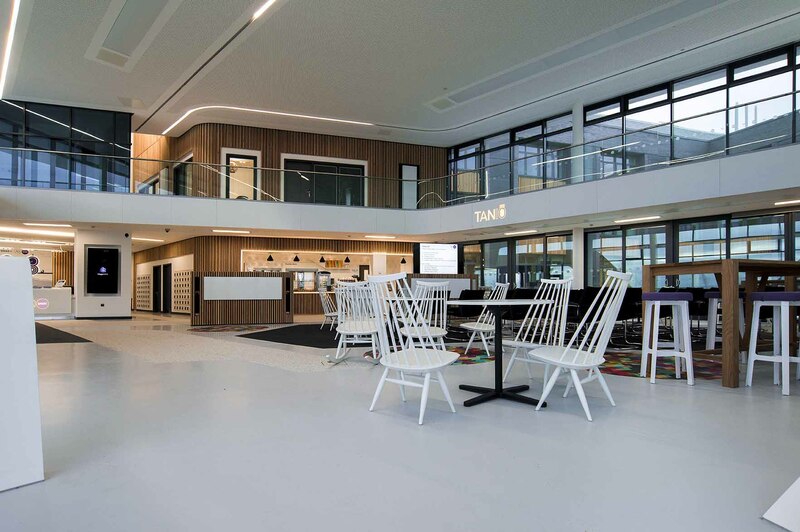 Corian® also makes an impressive appearance to the interior of the building, continuing the ribbon motif with cladding around varying levels of the lobby and forming the main reception desk. Both applications make the most of the material’s translucency and its compatibility with technology, by smoothly integrating backlit logos for added impact. M-SParc is a £15.5 million project which aims to drive growth in knowledge-based industries, with a focus on clean and sustainable technology. M-SParc is a wholly owned subsidiary of Bangor University and works in partnership with the university to provide expertise and support local enterprise.